Horny Goat Weed with Maca is rated 3.4 out of 5 by 13. Rated 5 out of 5 by Tennisman72 from Out of this World Great product along with reasonable price and great benefits. Rated 5 out of 5 by MegaViper from Formulated for success This product has a great combination that works well. It was recommended by my Vitamin World salesperson Beverly in Lakeland and at first I was skeptical but once I started using it I have no regrets!!! Rated 5 out of 5 by Fer001 from Very good product The product has given me all what I expected for it. It changed my life for better. Rated 4 out of 5 by Netminder58 from Great Quality! I have used this product for years but the store where I bought went out of business and I was happy to find it on your web site at a lower price. 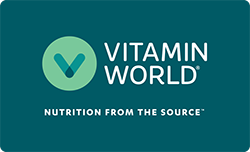 Thank you Vitamin World for great selection of quality products.